Is it time to replace your old electric fuse box? There are many households in the UK that haven’t yet received professional electric fuse box replacement and lots of homeowners still find themselves relying on old clumps of wiring. If your property is in a similar condition, then you should consider changing your fuse box for safety reasons. Even if your old consumer unit is working as intended, if the enclosure is made of plastic then your property is at greater risk of fire according to statistics gathered by the London Fire Brigade (LFB). The LFB recorded a startling increase of 182 home fires in the period of 2011/12 (71 home fires) - 2013/14 (253 home fires), they attributed this rise to poor wiring practices which led to plastic fuse boxes overheating and catching fire. The qualified and skilled electricians at Fantastic can easily set up a metal-clad fuse box as recommended by the recent update to the British Standard for wiring regulations (BS 7671, 421.1.2011). A new, metal clad fuse box will not only easily handle today's ever-increasing electricity demands, but also successfully pass the UK's strict building regulations. What goes into fuse box replacement? 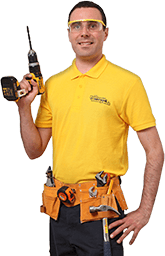 Before replacing a fuse box or a circuit breaker fuse of any kind, the precise technician will first check if everything is properly earthed and bonded. This diligent inspection will include all electric power distribution equipment that you currently use. If the professional discovers any faults in your electrical installation, then we will have to postpone your fuse board replacement session until all problems have been safely resolved. The reliable specialists in London will always start by carefully inspecting your electrical fuse box for any signs of defects. This way, the pros will know exactly how much effort they'll need to put in, and any extra work will be included in your final fuse box replacement cost. As soon as they replace the consumer unit, the knowledgeable team will move on to check each and every circuit to ensure that your new installation is good to go. At this stage, they can also replace the circuit breaker if it turns out to be faulty. All electric consumer unit replacement tasks will be carried out in accordance with all BS 7671 wiring requirements. Thus, you can always count on the technicians to safely take care of everything from the moment they enter your property. Consumer unit replacement, as with many things in life, comes with a healthy dose of bureaucracy. Even the simple changing of a fuse in a fuse box will require you to visit your local council and notify them of this alteration. And guess what – you will be charged a hefty fee the moment you do so. Your competent and registered electrician, on the other hand, will happily visit the council for you at no extra cost.